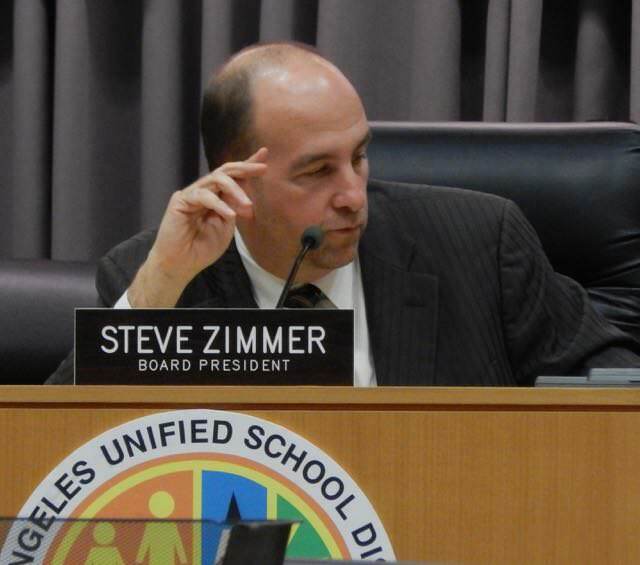 If members of the LA Unified school board agree on anything, it’s the financial threat posed by declining enrollment. The latest evidence: a 7-0 vote last week to oppose the Great Public Schools Now charter expansion plan. But what to do about enrollment, which is falling about three percent a year, is another matter, the difficulties of which were revealed hours later when the members debated what to do with the long-closed Highlander campus in the western San Fernando Valley. The choices: approve a proposal from El Camino Charter Alliance to build a charter school to serve 525 students, as district staff was recommending, or spend upwards of $30 million in public funds to build a district school, as board member Scott Schmerelson was promoting. With looming deficits and limited construction bond funds, Schmerelson’s vocal support for a traditional school sparked a vigorous debate that became a vivid illustration of how competing interests often spur conflicting approaches to problem solving. It also raised questions among the members about how to pay for such a large capital project: Some said they liked the idea as long as it doesn’t drain money from their board district, while others were willing to give up money from their district for the greater good of LA Unified. After a lengthy discussion, a split board voted 4-3 to give the superintendent’s office a month to explain how a new school would be paid for, including what projects would be cancelled as a result. The Highlander campus, along with three other closed schools in the western Valley, has been vacant for decades. El Camino’s leaders have been working on plans for three of the closed sites — and to pay for them without any money from LA Unified other than bond money specifically set aside for charter schools. The board in November denied El Camino’s request to develop one of the sites, Oso. After working with El Camino as the preferred Highlander developer for nearly two years, the sudden push to keep the site as a district campus reflected how much the tone regarding charter schools has changed in a short period of time, largely in the face of the Great Public Schools Now plan to expand charters in the district. The district has roughly $7.8 billion in available construction bond money but still needs $40 billion to repair or modernize existing campuses, with no active plans to build any new schools. The district has also already earmarked all available bond money for approved projects, LA Unified Chief Facilities Executive Mark Hovatter told the board, explaining that if the board were to move to build the new school it will need cancel other projects. “Not from District 6, you’re not,” board member Mónica Ratliff said when interrupting him, referring to her own eastern Valley district. Board member Mónica García threw her support behind building the school — as long as it didn’t drain anything from her District 2 in the East LA area. “If you tell me this is District 3 money, you got no issue,” she said. Complicating the issue is that Highlander is located in one of the district’s more affluent areas, while Garcia, Ratliff and other board members represent areas with neighborhoods far more economically challenged. Board member Richard Vladovic represents Distict 7 in the San Pedro and Watts areas, which has some of the district’s historically troubled high schools, including Fremont High and Jordan High. Still, Vladovic said if the project is good for LAUSD overall then it has his support. George McKenna of District 1 in South LA and Ref Rodriguez of District 5’s Northeast LA also expressed a willingness to offer bond money earmarked for their districts to help get the new school built. Even with postponing the measure, specific language in the resolution would not have yet allowed the Highlander campus to be developed by El Camino, as the lease details would need to be negotiated and approved later. Board president Steve Zimmer stayed out of the larger debate of “local interests versus the greater good” but voted along with Schmerelson and McKenna not to postpone the Highlander vote.